Super fun Summer Fruit canvas to brighten any home or holiday destination. Lots of fabrics and collage options in this one. 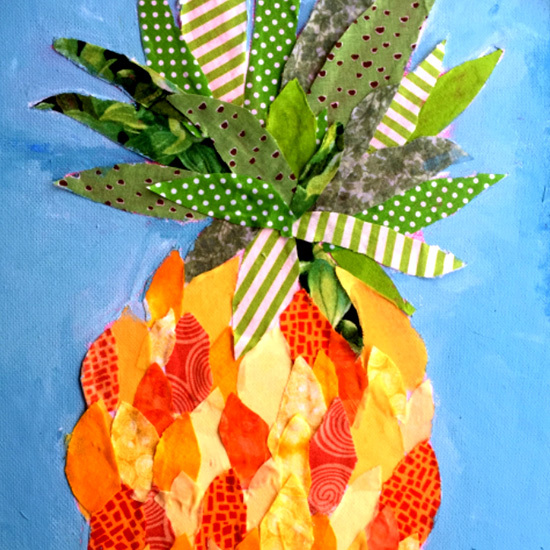 Included in the canvas art pack are beautiful colour fabrics in warm summer tones of reds, oranges and yellows perfect for your pineapple body, then patterned and textured greens for the crown. Click your paint colourway option for the perfect background mixing colours and you are ready to go.